For people in the country, change can bring fortune or tedium, but whichever it is, it must happen - or the wheels can fall off, literally. 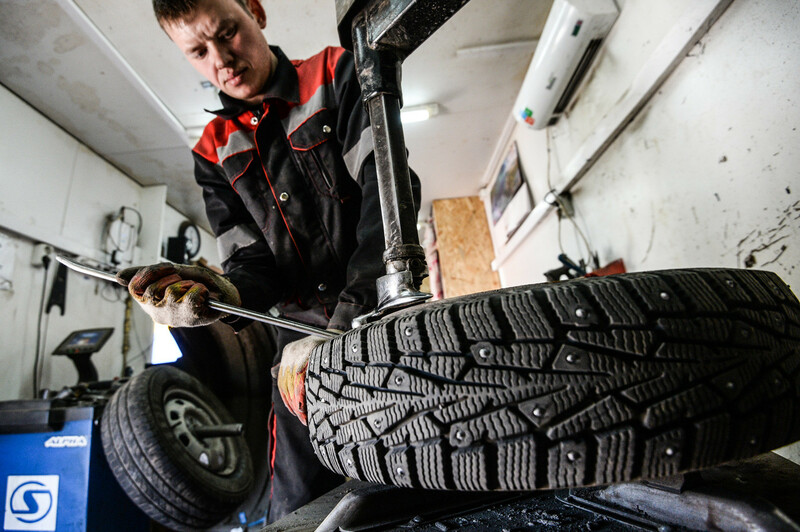 A headache for all and a great source of income for others – sounds like a riddle, but every Russian autumn cars need to be decked out with studded winter tyres. And then it happens again every spring – to replace the winter treads with summer wheels. It’s a vast industry – kilometers of shelves stacked with old, new, and defunct tyres can be found all over Russia. In the country, opting not to swap the relevant tyres for each season can be deadly. When you consider the icy conditions, poor road surfaces, and crazy driving, it’s easy to see why. Wearing the wrong type of tyres is still not an offense here, like in many countries, but it is highly recommended. For all the boys and girls out there who can wear the same jacket both in December and June, you won’t be able to do the same in Russia. The mercury hovers around –25 °C in the winter, and can reach 30°C in the summer. So as you might expect, Russians generally need a little more storage space for their clothes than the average Westerner. 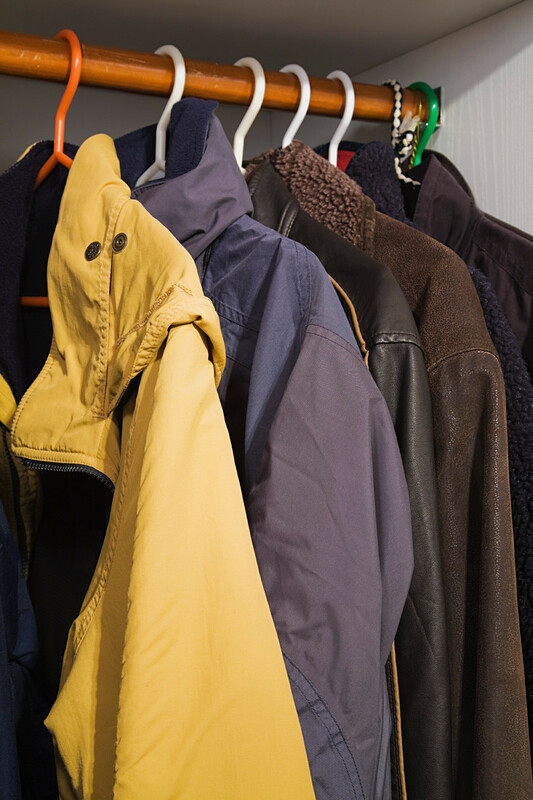 So after you’ve finally found the jacket you were looking for under all the other coats, the weather will have probably changed again, and it will be time to find yet another item of clothing. Historically, Russia is a river country – actually, not so long ago, before the introduction of railways during the middle of the 19th century, most trade arrived through the waterways. Rivers are important nowadays too, in some of the more distant regions they remain the only way of transporting goods to the people. One can enjoy a long steamer journey on the Volga, for example, stopping in old Russian towns along the way. But in the winter these rivers freeze and the boats stop too. In river cities like Volgograd (566 miles southeast of Moscow) or Samara (657 miles southeast of Moscow), winter ski routes and even automobile roads traverse frozen lakes and rivers. 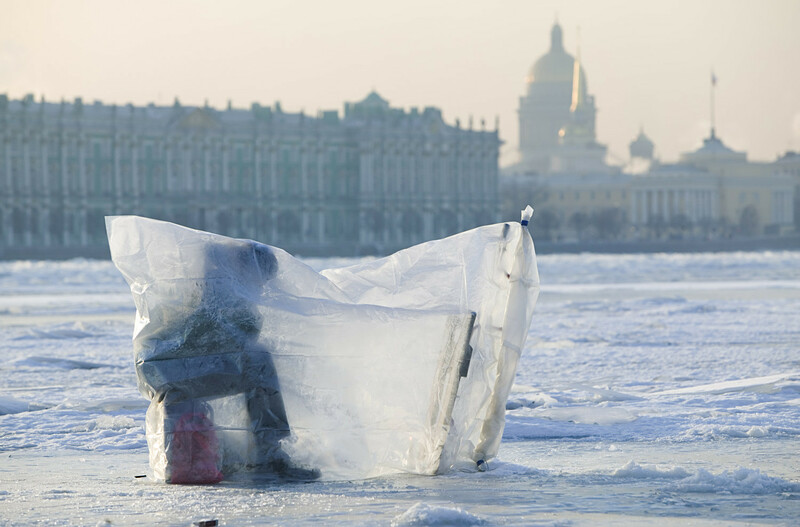 For many Russians, winter is the time for ice fishing, with some people staying in tents next to their fishing hole for days. 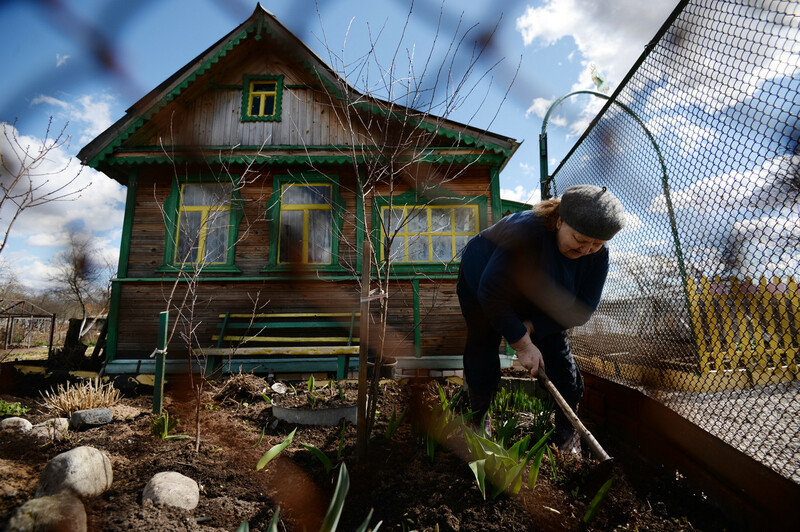 The arrival of “dacha time” is a sign that summer has really started – the dacha season really makes a difference for Russians. Elderly people are often used to harvesting tomatoes, cucumbers, dill, strawberries, and other “dacha plants” on their lot. During scarce Soviet times, these crops were a vital addition to the table, but these days growing has become more of a habit. 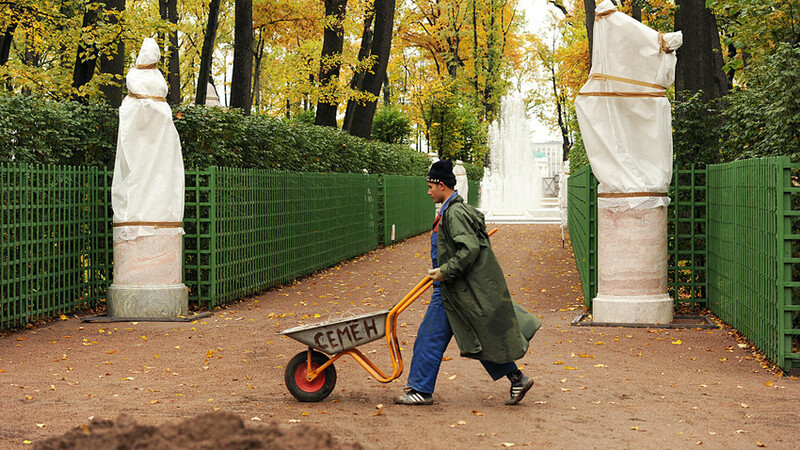 Grandchildren, who are still in school or university and have free time in summer, are often pressed by the elders to help out with chores at the dacha. Many people hate this as teenagers, but now in their 40s, they can’t wait for the weekend to come so they can tend to their garden. Anything beats spending a weekend choking in the concrete jungle. Read more stories and watch videos about Russian dachas and their history. There are over 100 protected museum resorts (open air museums, including natural history and nature museums) in Russia, and there are countless parks, forests, and hideaways. And all this changes drastically with the seasons. Many historical mansions and palaces in Russia are made of wood, so they close for the winter for restoration work or simply because it’s too cold inside. Take Kuskovo Estate in Moscow, which boasts one of the oldest Russian wooden palaces as an example. Other resorts also completely change in the winter – like the English-landscaped park Monrepos in Vyborg (84 miles northwest of St. Petersburg) that looks like a merry green forest getaway in the summer, but turns into a magnificent Northern rocky landscape during the colder months, like a Icelandic fjord. 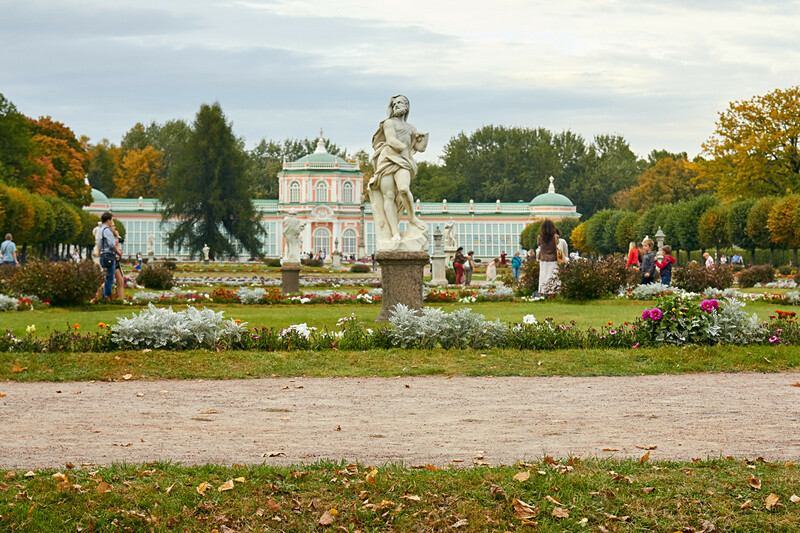 In St. Petersburg, a sure sign that winter is coming are the statues in the Summer Garden – they’re put into protective wooden boxes for storage.